Responsibility for the diagnosis and management of disorders of the pulmonary circulation has become the shared domain of the pulmonologist, cardiologist, surgeon, radiologist, pathologist, and, perhaps most important of all, the internist. It is the general internist who is most likely to care for the majority of patients with lung diseases that secondarily give rise to pulmonary heart disease, and it is the internist who will first evaluate the patient with primary pulmonary hyperten- sion or recurrent pulmonary thromboembolism who presents with nonspecific complaints and may manifest subtle and nondiagnostic findings on preliminary evaluation. The burgeoning medical literature concerning aspects of the pulmonary circula- tion, both clinical and investigative, is a reflection of the reawakening of great interest in this field and has led to many new developments, both in our understand- ing of cardiopulmonary pathophysiology and in the diagnosis and treatment of pulmonary vascular diseases. 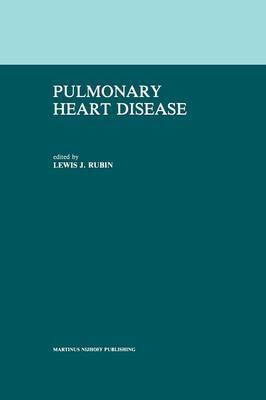 This book is an attempt to provide the clinician with a comprehensive overview of pulmonary heart disease from the perspective of experts representing a variety of disciplines. It is intended to be thorough yet clinically relevant. Individuals familiar with some facets of pulmonary heart disease may gain insight into other aspects of this condition, whereas those unfamiliar with this disorder may find this work useful as a general reference or as a resource to address a specific question.